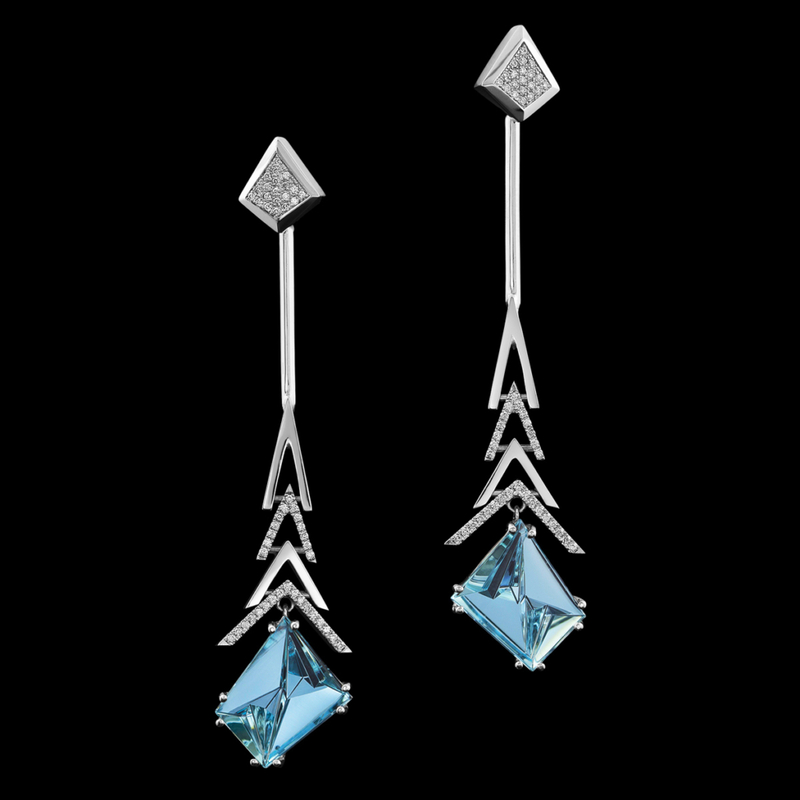 Crescendo Aquamarine Earrings are dramatic and dynamic. This enchanting earring design features two stunning aquamarines, totaling 10.22 carats, cut by lapidary artist Tom Munsteiner, suspended delicately below angular forms of white gold and diamond pavé. To purchase, call (949) 715-0953 or use our contact form below. Tom Munsteiner is the lapidary artist responsible for this distinctive gemstone cut. His striking and innovative cutting style is an inspiration to Adam and gemstone lovers everywhere. Learn more about the Munsteiner Lapidary Legacy on our blog.